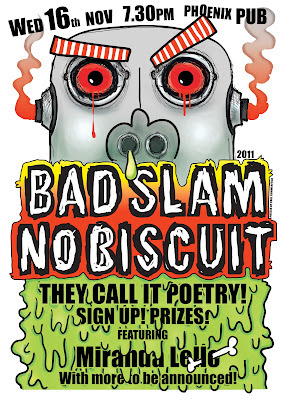 Which means you get an audience a microphone five judges two MCs a MASTER OF CONFLICT a Score Adder a stage a pub with alcohol two minutes AND THE CHANCE TO IGNORE PUNCTUATION! 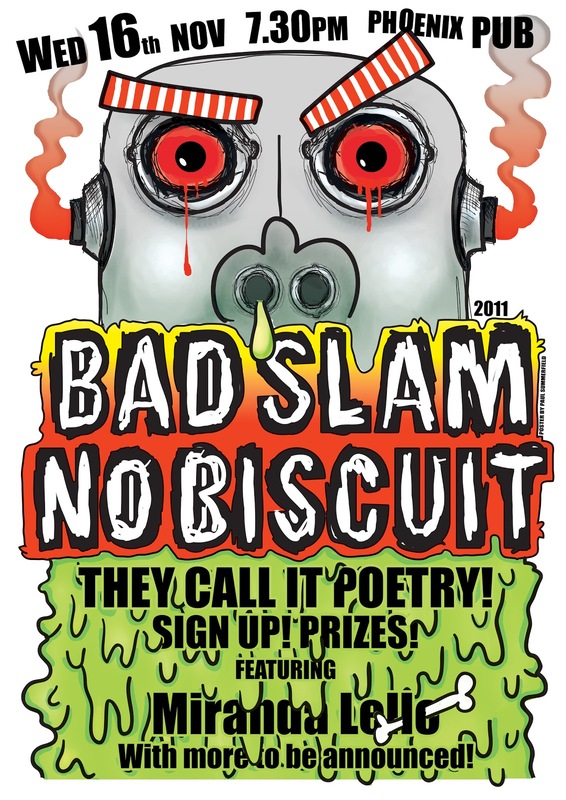 TO BRING YOU THE LATEST EDITION OF BAD!SLAM!NO!BISCUIT! PRIZES: FROM IMPACT COMICS MIND GAMES SMITHS ALTERNATIVE BOOKSTORE GORMAN HOUSE MARKETS OXFAM SHOP AND THE SIDE OF THE ROAD TO SOMEWHERE ELSE BUT THAT WE GOT TURNED ABOUT ON. And remember no props no music original material and two minutes.